Inheriting a house can be a bittersweet gift. 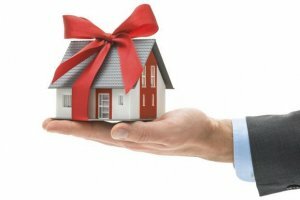 Receiving property as a last gift from a loved one may be a welcome asset, but older houses can be a headache. And knowing how to sell a house fast can help relieve a lot of stress. Inheriting a house can be more challenging than most people realize. Property that is financed must continue to be paid for every month, or you may risk losing the house to foreclosure. Some property must also go through probate before anyone can actually claim it as an inheritance. This means the house may sit in limbo for months. It may also be at risk of being liquidated to pay back taxes or unpaid debts. And then, of course, there is the condition of the inherited house – which may make it difficult to sell, rent, or move in to. When family members inherit a house from a loved one, they have to make some tough decisions. In many cases, the house will be passed down to multiple children, and with several owners, the best option is usually to sell. Older houses often require expensive repairs and renovations before they can be rented, moved into, or sold on the traditional real estate market. And in many cases, the new owners simply don’t have the time or resources to invest in the house, even if they want to. The sentimental attachment that comes with inherited houses can also make people reluctant to sell. They often keep the home knowing it is probably not a wise decision. They may even intend to renovate the home and start renting it out, or one day move in. Too often, however, the house sits in disrepair, becoming a liability and a financial burden. Real estate investors pay cash for houses in any condition. This can be a great option when you’re suddenly left wondering how to sell a house fast to avoid financial issues and other headaches that may surface. Even if there are past-due taxes, an unpaid mortgage, or other probate issues, it is still possible to sell your house for cash. Best of all, cash sales happen much faster than most other real estate sales, which is important when time is of the essence. When you don’t want to keep an inherited house and need a fast way to sell it to avoid financial or legal concerns, selling for cash to real estate investors can be a win-win situation! Need To Sell An Inherited House In NJ? At Metro Home Buyers, We By Houses for Cash As Is! No Repairs or Renovation, No Hassle, Fast Closing! If you have recently inherited a house that you don’t want to keep and are wondering how to sell your house, consider contacting real estate investors for a fast, cash sale. People ask every day, ‘Can I sell my house for cash?’ and the answer to that is most certainly ‘yes!’ Find out about selling your house for cash today.